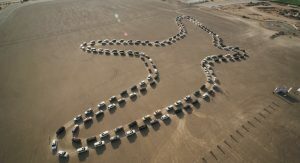 Nissan Patrol Sets Guinness World Record For… Synchronized Dancing? 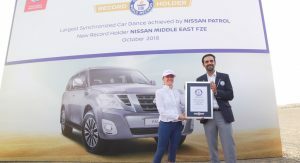 The Nissan Patrol may not be one of the most elegant vehicles in the market, yet it managed to break the Guinness World Record for the ‘Largest Synchronized Car Dance’. Gathered at the Dubai Rugby 7s stadium were 180 vehicles, driven in two concentric lines in opposite directions, over a distance of 1,476 meters (4,843 feet). Racing driver Axcil Jefferies led the entire stunt, which formed the shape of a giant falcon, spanning 176.5 by 225 meters (579-738 feet). 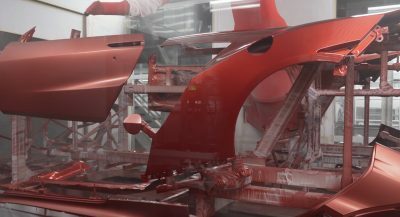 When viewed from above, the pattern “looked like a giant falcon in flight over the sands of the Arabian desert”, said Nissan. 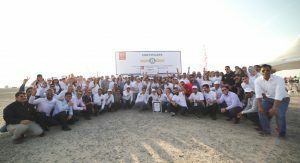 The new Guinness World Record set by the Nissan Patrol in the Middle East was also a celebration of three special editions of the vehicle, added to the local lineup this month. These are the Safari Falcon, Gazelle and Gazelle-X, whose names were inspired the shape formed by the synchronized car dance. 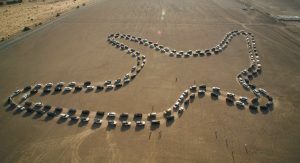 Nissan previously set two other Guinness World Records with the Patrol. The first one was achieved in August 2013, when the SUV towed the world’s largest aircraft at the Sharjah International Airport, UAE, for more than 50 meters (164 feet). Two years later, in September 2015, the Patrol set the record for the fastest ascent of a 100-meter (328 feet) sand dune by a vehicle in 4.9 seconds. I only see slow tailgating vehicles. Where is dancing? Show me your true move! This is synchronized driving? Go to a roundabout then you’ll see plenty of synchronized driving there too. What was that? this is not synchronized driving. They should have added something interesting like say a cross-traffic!! And there is a minute of my life I’ll never get back. You know what? I feel like breaking a world record. 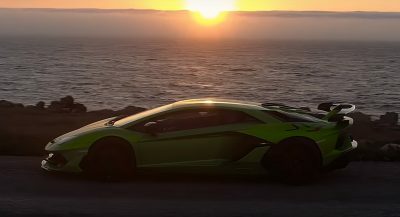 I will be the first person that reads Car Scoops, has a Disqus account, has a 1970 K5 Blazer as a profile picture, uses a laptop, and has not died yet to hit 20 miles an hour in any vehicle. I synchronise drive on the motorway every day, nobody gives me a medal! World record for driving on a line? As excited as they were in the video, there must have also been free pizza. What a colossal waste of time and money. Please fire these PR/Marketing people immediately..